I think we've hit the Sweet Spot with this whimsical bell sleeve top! 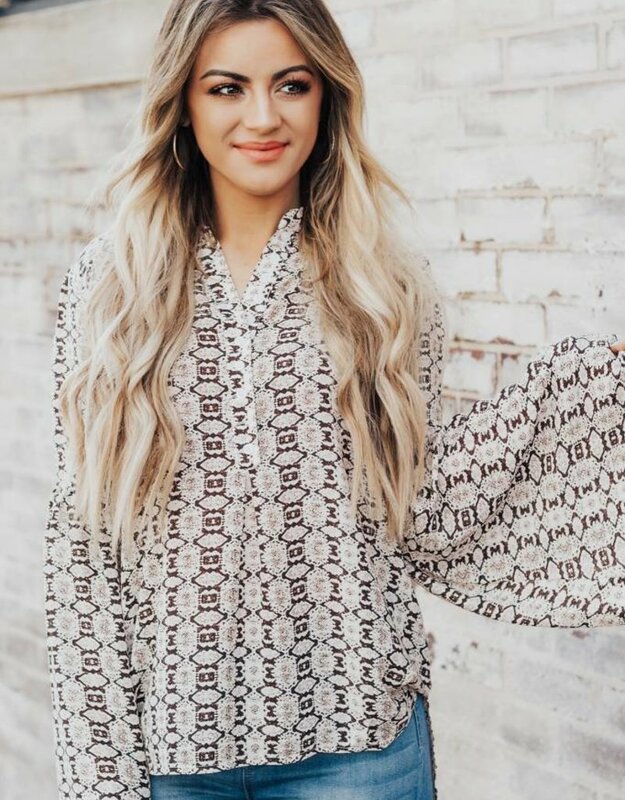 This animal print blouse is perfect to throw on with a pair of ripped jeans and booties for this season. Let this adorable top do all the work for you. Just grab your booties and hit the town!